As with other emerging, strategic technologies such as artificial intelligence, augmented/virtual reality and the Internet of Things, blockchain has significant potential to transform business models, processes, products and services. It’s estimated that 10 percent of the global GDP information will be stored on blockchain technology by 2025. 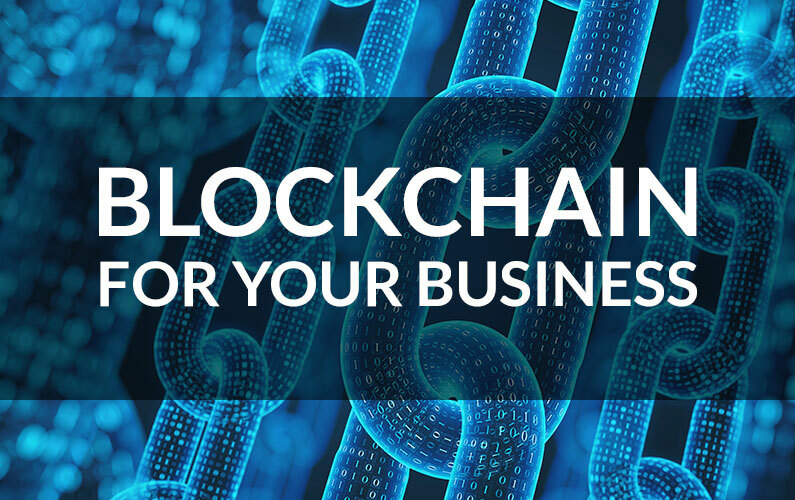 The question is how to get started with exploring technologies like blockchain for your business and how to quickly navigate from strategy to execution. While conventional thinking is often to “get the business strategy sorted out before thinking about technology” (we’ve heard this many times) and to “focus more on technology during pilot and implementation phases”, counter-intuitively, the reverse is often the best course of action. In this article, we’ll explore this counter-intuitive approach in more detail using blockchain and smart contracts as an example. While it’s often popular to stress that “digital transformation is about people not about technology” (and hard to argue with, which makes the person saying this sound really smart), the fact is that without technology you just have “transformation” – and even that may be incremental at best since it’s really technology that’s enabling this broader-scale transformation. Certainly, people and process are vital to execution – i.e. to get the job done – but at its core you need a robust business strategy that incorporates the many advantages that technology can provide. Without the knowledge of the potential of the technology, and how it can be applied for business benefit, the “art of the possible” will remain hidden from executives’ plans. Blockchain technology is a digitized, distributed ledger that immutably records and shares information. Some of its many benefits include its distributed ledger which records a public history of transactions, its near real-time settlement of these transactions, its trustless environment which means that there’s no need for trusted third-parties to act as intermediaries, and its irreversibility which means that it reduces the risk of fraud by being much harder to tamper with than traditional systems and processes. Smart contracts operate on a decentralized ledger technology such as blockchain, are independent, and are immutable and irrevocable. According to Gartner, “A smart contract is a computer program or protocol that facilitates, verifies or executes the terms of a contract.” The firm estimates that that by 2022, ratified unbundled (that is, defined impact) smart contracts will be in use by more than 25% of global organizations. By automating specific contracts in this manner, organizations can automate critical events within their ecosystems and can establish undisputable provenance. Smart contracts extend the business benefits of blockchain by unlocking further automation, efficiencies and cost savings. It’s estimated that blockchain for invoice processing, for example, could reduce cost per invoice by up to 60%. Smart contracts also help to ensure the terms and conditions of your business agreements actually get executed, and adhered to over time, as opposed to paper-based contracts which may be put in a filing cabinet after signature and never see the light of day. By way of an industry example, if we consider blockchain and smart contracts in real estate transactions, we find that it has the potential to transform core commercial real estate (CRE) operations such as property transactions – including purchase, sale, financing, leasing, and management – and over time can easily be extended to transform broader smart city operations. According to Deloitte, blockchain adoption can be linked to public utility services such as smart parking, waste, water, and energy billing, and enable data-driven city management. Using smart contracts in a CRE purchase and sale transaction, the smart contract can be utilized to record the terms and conditions of the agreement and to automatically execute the various activities associated with the transaction such as a) payment of sale proceeds from the escrow account to the seller’s bank account, b) notifying the registrar to initiate the property title transfer to the buyer with a lien on the property in favor of the mortgage lender, and c) initiating regular loan repayments from the buyer to the mortgage lender. In this industry example, the “art of the possible” includes the potential to cut out some of intermediaries – i.e. trusted third-parties – in real estate transactions as well as to highly automate processes by way of smart contracts. To ensure your business strategy incorporates the “art of the possible” with technology, be sure to involve appropriate executives who are on point for digital transformation (DX) in your corporate strategic planning processes and committees. This may well be your CIO if she/he is already spear-heading your DX program, or may be another C-level executive such as your CMO or CDO depending on how you’re organized. You don’t need to know the inner-workings of the technology in question, but a robust understanding of its specific business benefits and use cases will be a powerful asset for strategic planning. Once the case for utilizing blockchain and smart contracts has been established within your business strategy, it’s important for pilot and production deployments to focus first on the business problem being solved and then second on the technology solution. This helps to avoid the hammer-looking-for-a-nail issue and to focus initial projects on specific pain points that can be addressed. To get to the future vision of fully-digitally-transformed business models and processes, there’s two paths: one that consists of small, incremental minimum viable products (MVPs) and pilots (i.e. “small automation sprints to attack discrete areas”) and another that consists of a large transformation (i.e. “reimagining the process with optimal orchestration between human and digital labor”). Pursuing small, incremental MVPs and pilots can help to generate key learnings early on and deliver some measure of return on investment early on as well. It also enables you to take suitably large or small pivots, as needed, at each step. To put this into action, look for initial process areas that are candidates for your MVPs and pilots and then deploy to additional process areas as part of your implementation roadmap. While the focus is primarily on learnings and ROI (some advocate aiming for learnings over early ROI, particularly for more complex technologies such as AI and blockchain), these projects will also afford the opportunity to run test drives with vendors and to evaluate their specific technical solutions. Since each MVP and pilot is a small-scale deployment, you can kick the tires on the vendor and their solution in a low-risk environment. To explore blockchain for your business, this two-pronged approach of developing the technology-informed business case and then the business-focused technology pilot can be an excellent way to unlock the value of emerging technologies and avoid some of the traditional issues with navigating between strategy and execution. This approach is particularly beneficial when pursuing strategic technologies which have the potential for transformative business benefits, so can be applied beyond blockchain and smart contracts, to other strategic technologies such as artificial intelligence and the Internet of Things to name just a few. Curious as to how ClearPrism is better than larger management consultancies? Our philosophy is that if you’re interested in generating real results quickly, we believe that you don’t have to hire fifty people to get to the five or so smart people that actually perform the work. Just hire those five smart people directly and we’ll help you orchestrate to turn digital transformation requirements and expectations into reality.